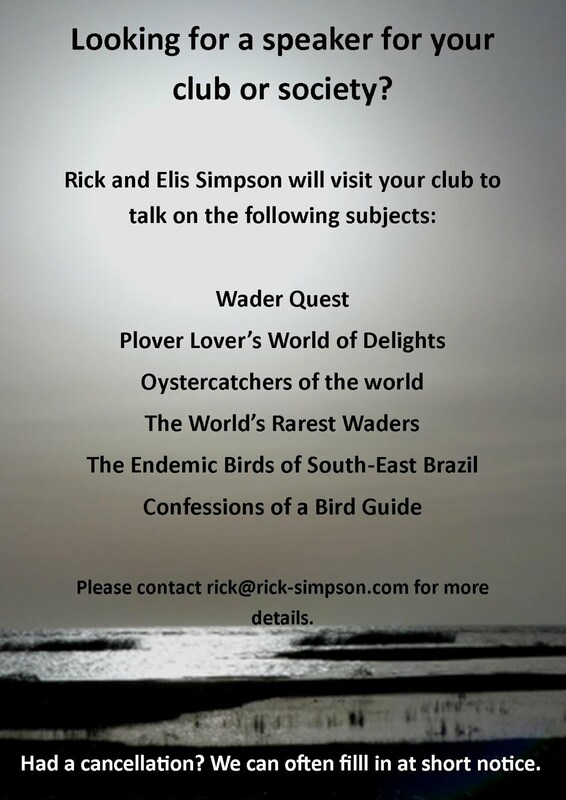 Rick Simpson Birding: Pacific Golden Plover dip. A trip to Cley in Norfolk after the reported Pacific Golden Plover. 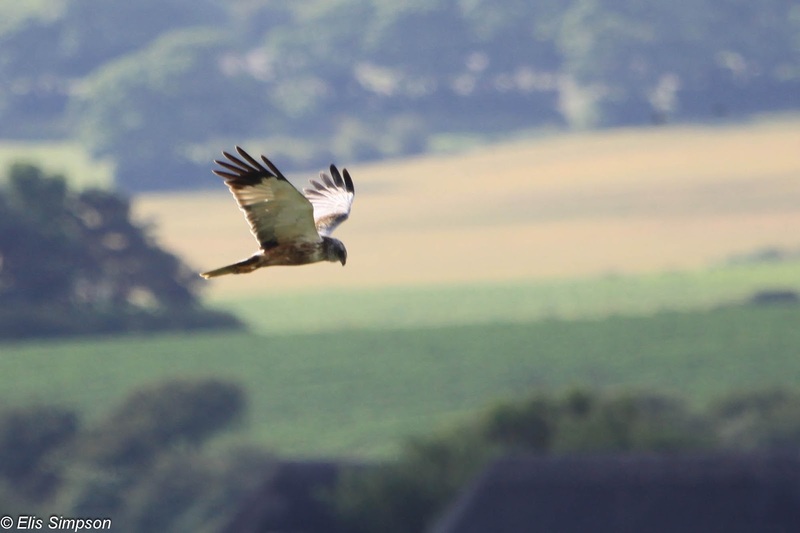 We arrived in the morning to find there had been no sign of it, so we headed for Titchwell to see what wader photos we could get stopping en route to photograph this Marsh Harrier in Cley. 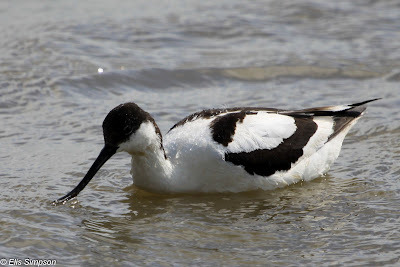 There were precious few waders of course, this being mid summer (Oh no it isn't... Oh yes it is! etc. Life is like a pantomime sometimes don't you think?). 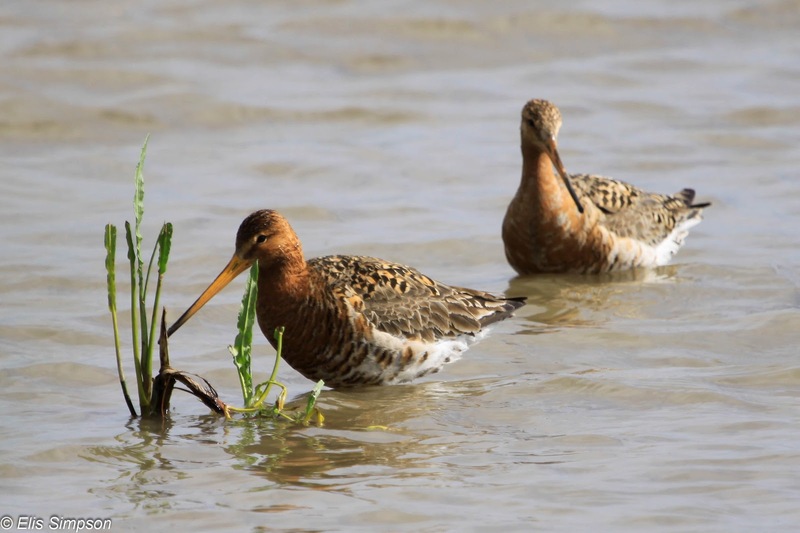 There were some lovely Black-tailed Godwits near to the hide, and several Avocets as you'd expect. 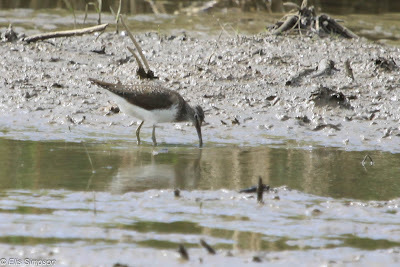 We also got a quick look at a Green Sandpiper, Elis managing to bang off one shot before is flew away. 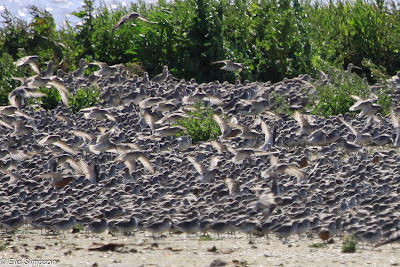 In recent years there has bee a large summering population of Red Knot roosting at high tide in the reserve. Unseasonal in this part of the world, these birds are probably first summer, non-breeding birds for the most part who are remaining on their wintering grounds or partially migrating from southern Europe to eastern England. They are mostly in winter type plumage, but there were 4 or 5 that were sporting the red summer garb of full adults as can be seen in the photo below. They were roosting on the fresh marsh with some Bar-tailed Godwits and there was a single (as far as I could make out) Little Ringed Plover. 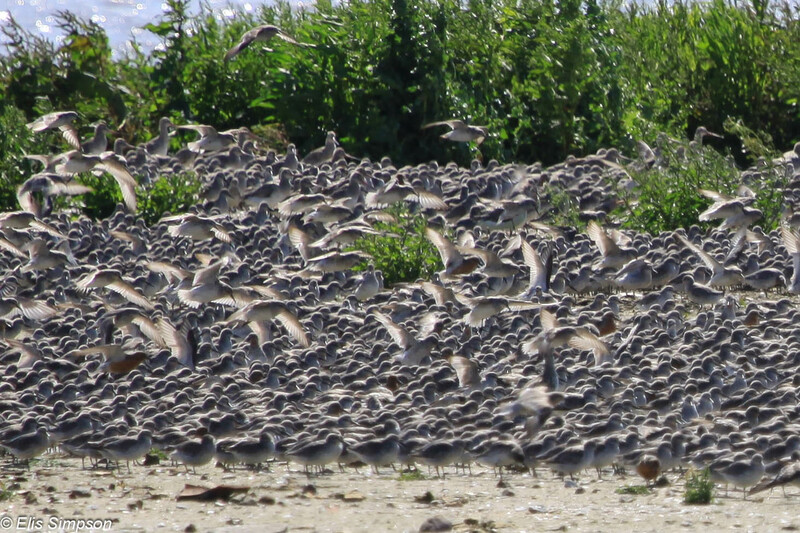 some summer plumage adult knots can be seen in the throng. 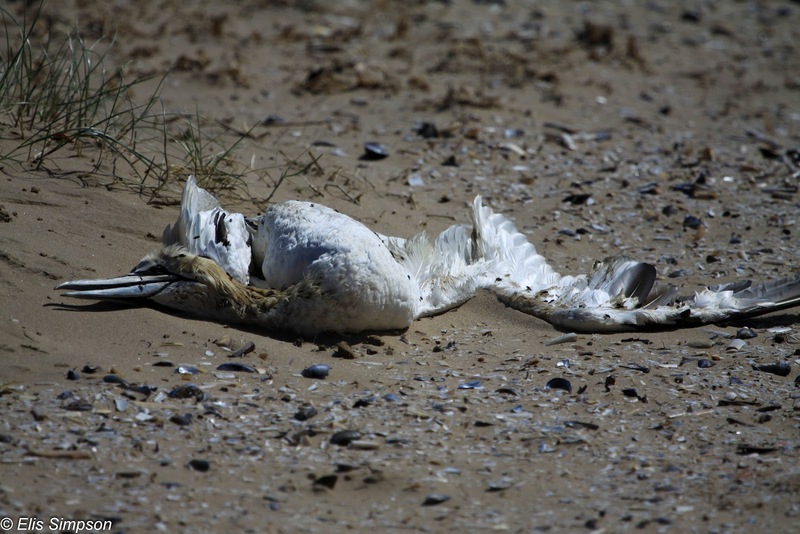 On the beach we saw nothing except this unfortunate dead Gannet. Hearing that the PGP had not been relocated we had a Cheese and Onion toastie and a cup of hot chocolate in the company of this Robin. We then headed for home via Weeting in an attempt to get better, closer shots of the Stone Curlews, only to find them sheltering from the bitter wind further away than before. Giving up we retuned home, to discover that the PGP appeared again at Cley late afternoon... sigh! Welcome back to the sad world of dipping mate. Ah but read on... also a welcome return to scoring! Yeah, well done to you both. 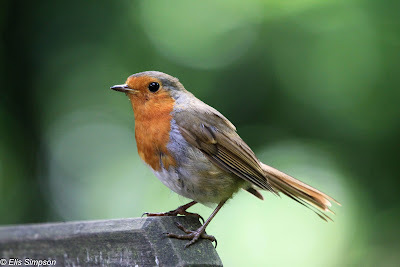 Don't tell anyone but I went for the Little Swift when I got back from Scotland. And dipped!